Cosmos are generally very easy to grow from seed…they’ve been doing it for a long time and seem to enjoy repeating the trick. ‘Pied ‘Piper’ is no exception and will produce wonderful funky flowers for you all summer long if you follow a few simple rules. It’s petals are fluted, some call this ‘seashells type’…I don’t…I’m sticking with fluted. The centres are a lemon yellow which is stunning against the crimson/red petals. ‘Pied Piper’ has soft ferny foliage…very tactile…but make sure you take off any leaves that would sit below the water line of your vases…as they decompose in the water they let off ethylene which will shorten the life of the flowers. Cosmos are generally happy in a poor soil but they are very appreciative off a good splodge of sunshine…I have grown some in pots and they seemed fine….these really are very amiable plants. Top Tips For Growing Cosmos ‘Pied Piper’. *Sow in pots in late March or April…or direct into the soil in April or May. Don’t sow outside if we are having one of our wet and cold spells….don’t be fooled by a rogue sunny day. Cold and wet soil will rot your seeds. *Only lightly cover your seeds and keep the compost moist…but not soggy. *Thin out seedlings to about a foot apart. 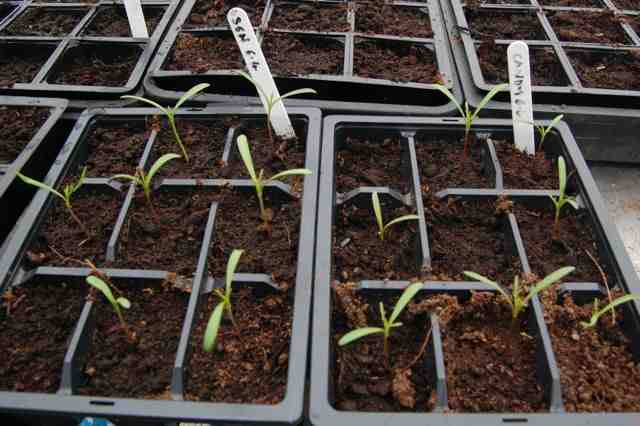 *Don’t plant out your pot grown seedlings until all risk of frost is over. *If you want your Cosmos ‘Pied Piper’ to become bushy plants then nip out the tip of the plant when they are about a foot high. “I am a fan of sowing in rows as it makes it easier to weed and to care for the little nippers…once they are flowering they won’t look like they have been sown in rows. Space rows a foot apart. Cosmos are ‘cut and come again’ so fill your boots….don’t let the flowers go over whilst on the plant…this will shorten the flowering period. Cosmos get their name from the Greek Kosmos meaning ‘in order’ or ‘balanced universe’ as the petals are so evenly spaced. If you plant Cosmos in your garden you will hear the bees singing your name…true…all true. 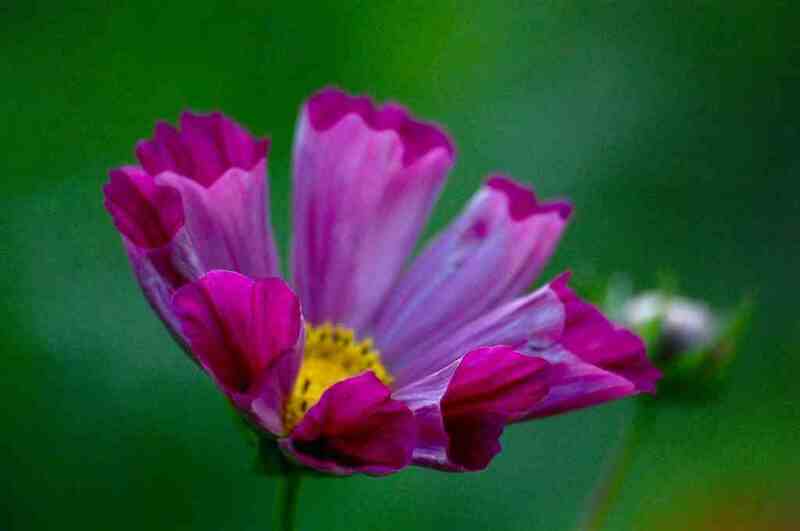 Other than ‘Pied Piper’ other great Cosmos for the cut flower patch are ‘Sensation‘ and ‘Purity’. Try adding something with some height to your arrangements with Cosmos…’Bells of Ireland‘ and ‘Larkspur‘ are always winners in this regard. 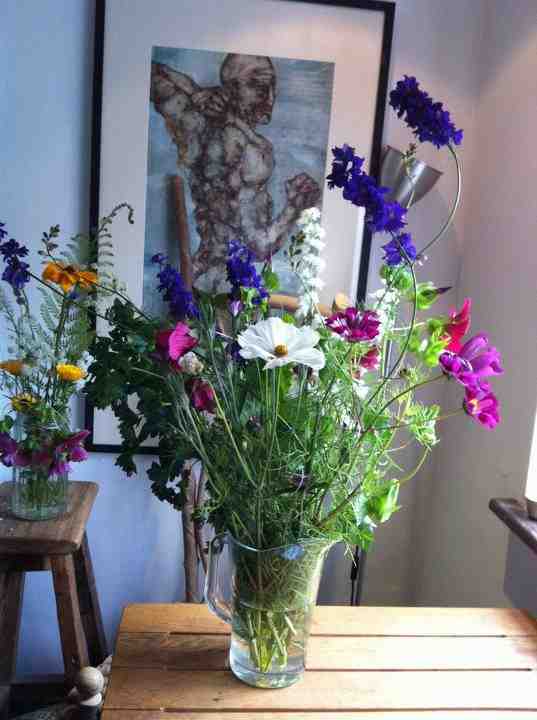 Naturally you can find all these beauties in the Higgledy Garden Shop. Have fun mon ami….spring is on the way! Growing Malope Trifida ‘Vulcan’ From Seed. Cut Flower Gardening: Some Completely Made up FAQs.